When it’s time to start making decisions toward your next truck, car or SUV… You’ll be happy to know the experts at Manitou Mainline Chrysler Dodge Jeep Ram are ready to help. They’ll take the time to actually get to know you so they can help determine your style and preferences. This allows them to make better recommendations that are more relevant to you as a driver. They’ll even set you up with a test drive so you can get a feel for the vehicle yourself. Reach out to our team by phone at 306-WATROUS or in person at 9 Campbell Road in Watrous, near Saskatoon, Humboldt and Moose Jaw, SK. Many Ram 1500 owners have already experienced the difference at the all-new King of Trucks, Manitou Mainline Chrysler Dodge Jeep Ram in Watrous, SK. The all-new 2019 Ram 1500 is available in 7 different levels. Plus, choose from three different engine options, including Ram’s popular 5.7L HEMI V8… It’s what we’re known for! The 2019 Ram 1500 sets the bar high with technology to keep you connected while at work or play. Speak to one of our Ram Truck experts by calling 306-WATROUS or visit us in person. 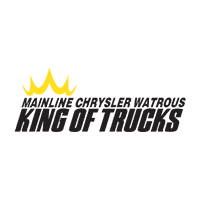 Manitou Mainline Chrysler Dodge Jeep Ram, 9 Campbell Road in Watrous, near Saskatoon, Humboldt and Moose Jaw, SK. 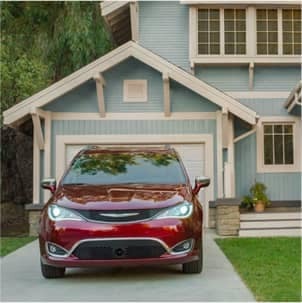 As the proud owner of your very own Chrysler, Dodge Jeep or Ram, you’ll want to do everything in your power to keep it running at its best for years. One way is by keeping up with routine maintenance. Our Factory Trained Mopar Service Experts will be happy to help. 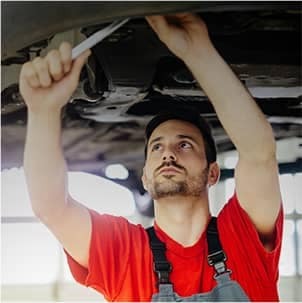 Whether you need a simple oil change, tire rotation or something a bit more serious, we’ll make sure that your vehicle gets the right care and attention. Whenever you’re in need of service, scheduled maintenance or emergency repairs, you can always count on us. Book your service appointment online, call 306-WATROUS or visit us in person at 9 Campbell Road in Watrous, near Saskatoon, Humboldt and Moose Jaw, SK. Once you find that perfect new or used vehicle, our finance team can help. Let our finance experts take all the hassle out of getting the right financing option for you. We’ll help you understand all your options and get you affordable payment terms that work with your budget. If you’re rebuilding your credit, we have a strong relationship with several different lenders. Our finance team will get you the lowest available rate to start rebuilding your credit. 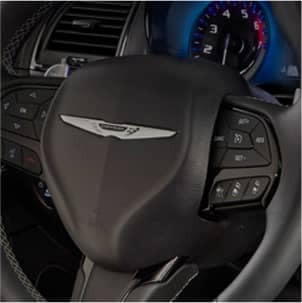 Contact Manitou Mainline Chrysler Dodge Jeep Ram’s finance experts today! Call 306-WATROUS or visit in person at 9 Campbell Road in Watrous, near Saskatoon, Humboldt and Moose Jaw, SK. The experience was great! Spencer and Jody were very professional and supportive and down to earth. They made the experience of buying a vehicle very comfortable. They spent time with us to answer all questions we had. It’s as if we knew them for a long time. Customer service was excellent. This was the first time that a Finance Manager included is in the entire process and explained how things worked. I would highly recommend this dealership based on my positive experience. Indira was incredibly knowledgeable and found us the perfect vehicle for what we needed! She was accommodating to our requirements and made the entire experience seamless from beginning to end. Honestly the best dealership I have delt with! They were short staffed and busy on the saturday that we attended but they never made us feel forgoten and they were very good to make sure to keep us up to date with the time frame. Once we got a sales person, we got Indira, she is the best sales person I have delt with because she was not only fun to deal with but she was very knowledgeable and she made us feel very comfortable. Everyone we dealt with were extremly friendly and they made it their job to make us feel comfortable in the decision that we had made. I would 100% reccomend them to anyone! Amber was our salesperson and she did a fabulous job. If you are looking for a truck look no further! Thanks again for everything appreciate it!